It may not be August and the evenings may not be particularly hot, but let me assure you that this show sizzles and produces enough energy and heat to almost melt a polar ice cap. 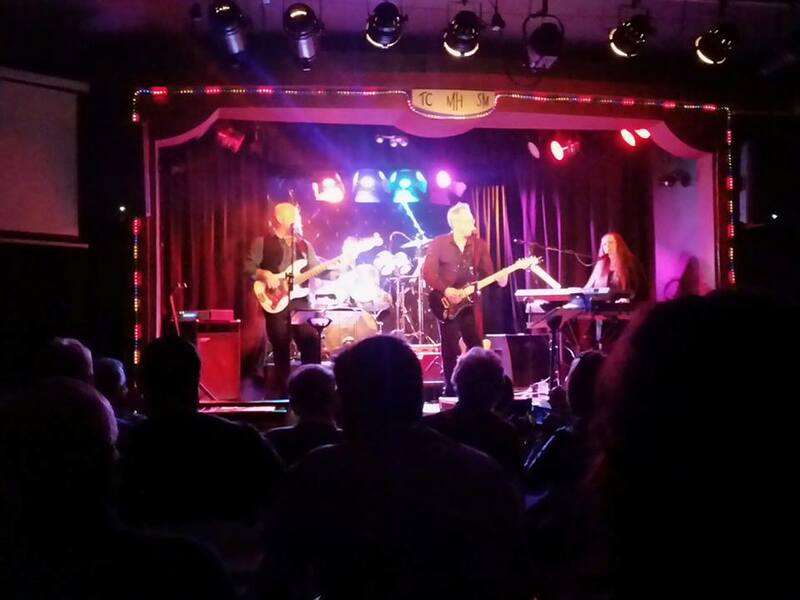 To hear Durban’s foremost band, The Reals, performing the music of one of the greatest singer/songwriters of all time, the legendary Neil Diamond, before a sold-out audience at the Rhumbelow Theatre is an experience to cherish. Yes – sold out! An unusual occurrence in the entertainment industry these days, but such is the attraction of the wonderful music of Neil Diamond, performed by fabulously talented musicians. Neil Diamond was born in 1941 and, while he no longer tours, he remains a prolific songwriter to this day. He has had 38 songs Top 10 songs on the Billboard Adult Contemporary charts and has sold more than 125 million albums worldwide, making him one of the best-selling musicians of all time. Diamond was inducted into the Songwriters Hall of Fame in 1984 and into the Rock and Roll Hall of Fame in 2011. In 2018, he received a Recording Academy’s Lifetime Achievement award, a Special Merits Award that celebrates performers that have made outstanding contributions of artistic significance in the industry. His music is universally loved and instantly recognisable. No matter what song came up in the show the instant reaction was “Oh, I remember that one” and then, to sing and clap along with the rest of the audience to the music. With vocals shared between The Reals frontman, guitarist Barry Thompson, drummer Mali Sewell and bassist Jason Andrew the first half featured such marvellous hits as Forever In Blue Jeans, Beautiful Noise, I Am I Said, Shilo, and Song Sung Blue. The second half opened with a mesmerising rendition of The Story Of My Life by Barry Thompson and Dawn Selby and followed with still more hits such as Something Blue, Love On The Rocks, Play Me, Soolaimon (magic drumming by Mali Sewell), Holly Holy, Coming to America and right at the end the mega-hits Cracklin’ Rosie and Sweet Caroline. The songs are interspersed with video clips shown on screens suspended on either side of the stage, and with interesting biographical details and anecdotes about Diamond, delivered by Barry Thompson. The Reals, undoubtedly Durban’s leading tribute band, were on fire for this show. They were good in the first half, but after interval a little bit of magic took place. When a band is total sync with each other and the sound mix is perfect (take a bow, Andre Norden) something very special and breath-taking happens. In the words of Diamonds song it was a Beautiful Noise. Hot August Night is a show is too good to miss. This week-end may already be sold-out, but it will still be on for the next two week-ends at the Durban Rhumbelow Theatre in Umbilo. Shows on Fridays and Saturdays at 20h00 and Sundays at 14h00. It will then move to the Rhumbelow, Tina’s Hotel in Kloof from October 24 to 28.